I’ve been looking for a new smartphone game recently. It’s a fraught process these days. The goal is to secure a source of entertainment. The dilemma you face is this: do you go free or do you pay? I’ve done both, and I’ve returned from the wilderness of the App Store with dusty wisdom. Free-to-play (F2P), or freemium (ugh), games have flooded App Stores in recent years. After all, with so much competition, it’s all about about ensuring that as many people as possible sample your wares. Free entry means that there’s no barrier, so the potential audience is everyone who has a device capable of playing your game. With such a large audience, only a small percentage have to make “in-app purchases” for a game to be profitable. The problem is that F2P games are a balancing act. On the bright side, they can offer you plenty of enjoyment at no cost, with the option of throwing in some cash for more of the same, or faster progression. On the dark side, the reminders to spend money can be relentless, multiplayer games can fall into “pay-to-win” scenarios, and progression can become a terrible grind for those unwilling to fork over their money. My first attempts at finding a new game headed in the direction of golf games. (Blame Rory McIlroy’s recent success for that.) I’ve an old copy of EA’s Tiger Woods PGA Tour 2012, but it’s creaky and buggy now. EA’s King of the Golf Course seemed like a sensible replacement, and its core mechanic was beautifully smooth, but the game structure of a linear set of challenges devolved into a slow grind after a couple of days. Com2uS USA Inc.’s Golf Star was even worse: old-fashioned mechanics stuffed into an overly ornate game that never missed a chance to encourage you to spend money. Both were highly rated on the App Store. Both are no longer on my phone. It doesn’t have to be this way for F2P games. NimbleBit’s NimbleQuest is an addictive arcade game that is fun to play even as you’re grinding, and their Pocket Trains trades a little immediate fun for a lot more strategy. 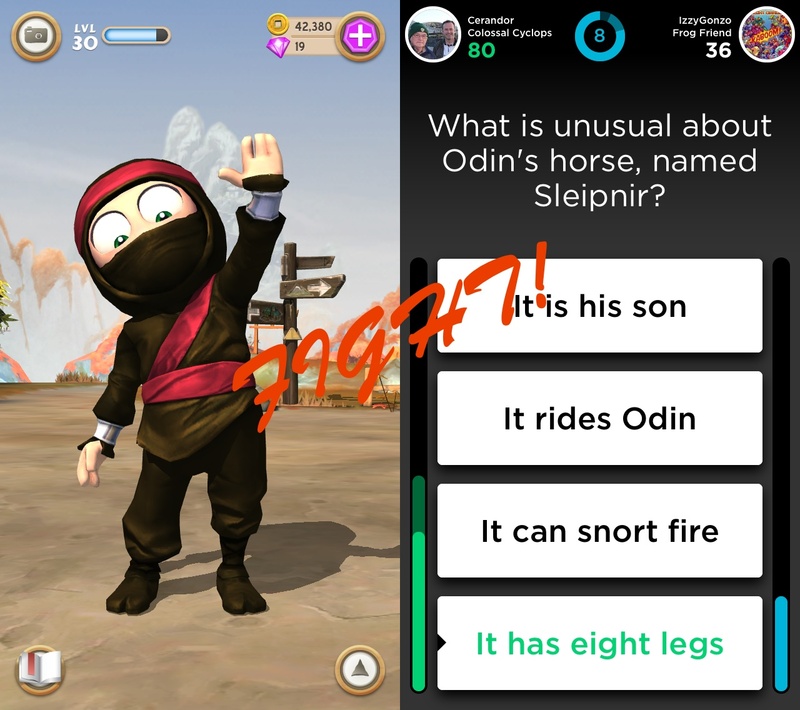 Plain Vanilla Corp.’s QuizUp is still one of the best multiplayer experiences on the iPhone for trivia geeks. Gameloft’s Rival Knights devolved into excessive grinding by the end but was fun until then. PopCap’s Plants vs. Zombies 2 took a F2P approach to a superlatively fun paid game and only suffered because it made the game more complex, a different kind of entry barrier. The fact is though, I’ve found that the best results are to be had when you’re willing to pay for a game that isn’t going to nag you or slow your progress. You’re rarely going to be paying more than the price of a pint or two for an iPhone or iPad game, and for that price, ten or more hours of entertainment is a small price to pay. Paid games seem particularly suited to more story-based titles, games with a finite span. Capybara Games’ Superbrothers: Sword & Sworcery is an absorbing adventure, beautifully presented. Bossa Studios Thomas Was Alone is a similarly absorbing recreation of an atmospheric online puzzle game. Lastly, usTwo’s Monument Valley is a perspective-based puzzle game, perfectly suited to touch screens. I paid for all three and don’t regret it, even if Monument Valley is a little light on content. There’s plenty of space for both models in the App Store economy. F2P games when you want to sample, browse and check things out. Paid games when you know what you want. Well, I tried out the browsing side of things, but if was paying that got me what I wanted. 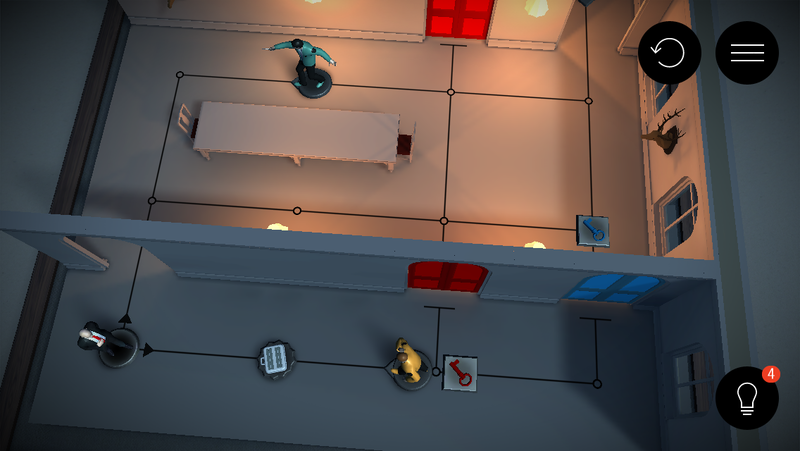 Square Enix’s Hitman GO, (pictured above) is a genuinely strange mobile adaptation of a first-person assassinate-em-up. Rather than try to recreate the shooting segments of the game that inspired it, the mobile version focuses on the tactical thought behind it, locking the player into a turn-based board game as they make their way through a multitude of levels, setting numerous targets along the way. The board-game aesthetic is beautifully realised and feels only a little cramped on a phone screen. 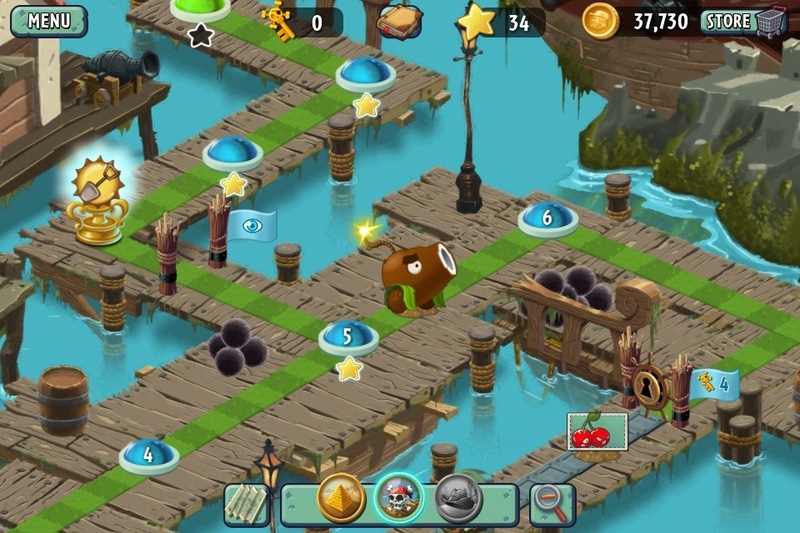 The rules of the game are rigid enough to allow the player to plan, and the occasionally mutually exclusive achievements encourage replay. There are a massive number of levels too, with the option of paying for more if you want to. (The line between F2P and paid is blurry in places.) At some point in the future, I may exhaust its appeal, but by then I’ll have long since got my money’s worth. Not too long ago, in a review of Tiny Tower, I commented that the publisher, Nimblebit, may have missed a trick in not selling out to Zynga, which proceeded to photocopy its game when rebuffed. As addictive as Tiny Tower was, it was an ultimately shallow experience, with most of the enjoyment coming from comparing towers with your friends. 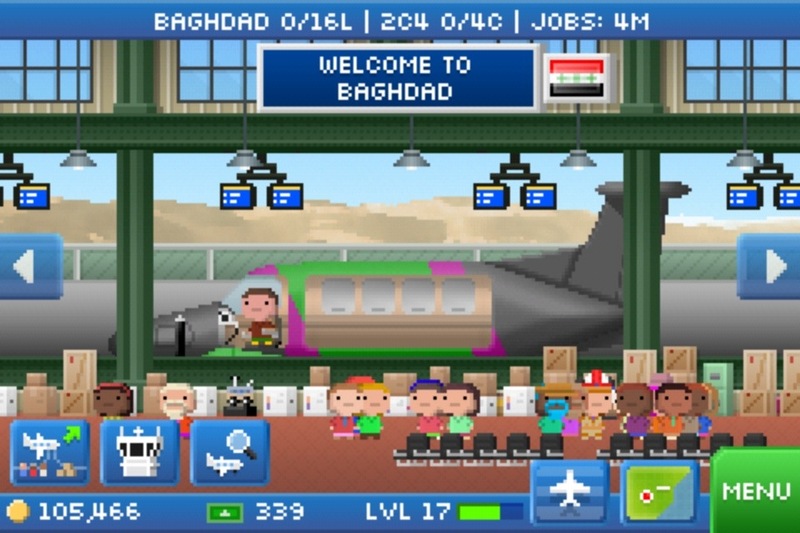 Well, I may have been worried prematurely, for Nimblebit’s follow up to Tiny Tower, Pocket Planes, is in an entirely different league. Instead of building a skyscraper and filling it with stores, apartments and occupants, Nimblebit now asks you to craft a globe-spanning airline, starting from a handful of airports and a few rickety planes. It might seem obvious, but the premise of the game permits it much greater depth than Tiny Tower, as you actually have to think about how you expand: go for cheap airports for quick cash or save for more expensive ones and build for the future. Some Tiny Tower mechanics are carried over: the whimsical 8-bit graphics and tone, and the “bitizens” that fly with your airline. There are still two forms of currency as well: cash for building and upgrading airports and “bux” for purchasing new planes and hurrying your flights. You can purchase bux for cash through the game, but there’s nothing you need to spend money to achieve. All it costs you is a little more patience. The main substance of the game comes in routing flights of bitizens and cargo from one airport to another: the further the flight, the more money you make, and if you can fill a plane with items for a single destination, you’ll get a bonus. Meandering flights will make you less money (or even cost you money), so some strategic thinking when purchasing airports will pay off in the long run. As your airline grows, you’ll purchase airports further and further apart and faster planes with longer ranges to connect them. In turn, you’ll need to concentrate on higher tier airports that can support those planes. There are plenty of achievements to pursue, unlockable items to collect, upgrades to pay for and cosmetic changes to tinker with. As for social elements, there’s both a step forward and a step back from Tiny Tower. The ability to view your friends’ efforts has been lost, but in its place there’s a chance to cooperate as part of a “Flight Crew” sharing a hashtag to achieve particular tasks in-game and win bux and special aircraft. It’s a little less personal, but it offers new content every few days, and novelty in a game like this is an important feature. Pocket Planes isn’t perfect: it’s still a little buggy, with a tendency to quit quite often and an odd Flight Crew glitch that delivered me way more bux than I’d actually earned. The Flight Crew mechanic is also somewhat compromised by the fact that the #toucharcafde hashtag is by far the biggest anywhere. Still, Nimblebit will undoubtedly patch the game until it works smoothly, and for a free offering, there’s a huge amount of content in here. Whether I’ll follow it as far as I did with Tiny Tower, a game that burned out my obsessive-compulsive habit, I’m not sure. However, Pocket Planes is a far superior game to its predecessor and well worth trying out just to see if it suits you. The biggest game release of 2012 so far has come and gone, trailing controversy in its wake. 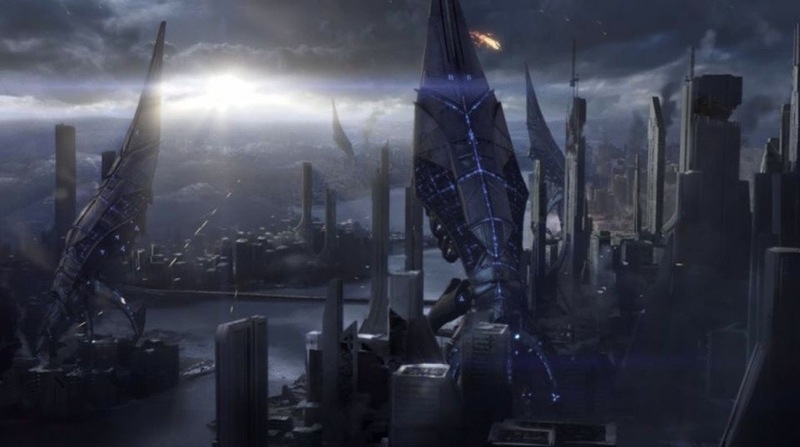 Fans of the Mass Effect series have been enraged by what they see as a substandard ending for Bioware’s space opera magnum opus and have raised a lot of noise (and money) about it. I’ll talk a little about the ending later, but if you want deeper, more philosophical, design-oriented takes on the ending, you can read them here, here, or here. In any case, if you have an interest in Mass Effect 3, beware of SPOILERS from here on in. The first thing that you have to realise about Mass Effect 3 is that it’s all pay off. Unlike the first two games, where you had an abundance of side-quests to distract you as you pursued the main plot, here all of those smaller missions contribute to the main plotline. And if you’ve played through the previous two games in the series, it’s massively satisfying, occasionally heartbreaking and once or twice hilarious as it brings to a close the stories of the richly drawn characters who have accompanied you through the series. Which is not to say that there’s nothing for newcomers: the lengthy intro to the third instalment ably sets up the players and the stakes, but you won’t get the full effect if you’re coming in fresh. As far as gameplay goes, Mass Effect 3 represents a bit of a step back from the streamlining that took place between the first and second games. The combat feels more fluid than ever, if significantly more finicky, with controls that are apt to put you in the wrong place if you get too enthusiastic with the key/button presses. With increased weapon and armour options, there’s plenty for you to tinker with too. So, anyway, onto that ending. And, in case I didn’t say it loudly enough before, SPOILERS. The ending, by which I mean the final few scenes, draws on two main sources, one good and one iffy. The first is the original Deus Ex game, where the main character is presented with a choice that will change the world (and apart from scale, the choices presented in Mass Effect 3 are identical). The second is The Matrix Reloaded, where a heretofore unsuspected god in the machine reveals himself and offers the main character an insight into the true reasons behind the conflict they’ve participated in. Now, I’m a completist. I scoured every inch of the galaxy in all three games, and I only found one hint, late in the third game, that there was some director behind the massive threat of the Reapers. So there was a lack of impact to him when he showed up. Secondly, of the three choices you’re offered, one of them is barely explained, even though it seems to be the preferred option from the designers’ point of view. So on the front of emerging from the choices that the character has made and the story that he or she has experienced, the ending falls short. However, I do love the fact that all three choices in the ending adhere to the theme of sacrifice, either of yourself or of at least one friend and possibly an entire race, in order to ensure the galaxy’s future. Anyone who’s tried to put together a compelling narrative will tell you that endings are hard. Providing a pay off for a story as big as Mass Effect was always going to be a massive task, and I can see where Bioware wanted to go with the ending: consequences at a scale appropriate to the tale being told and a sense of closure to Shepard’s personal journey. However, Peter Jackson spent half an hour on the ending/epilogue for his Lord of the Rings trilogy, so fan disappointment at the two brief cut scenes that round off the Mass Effect series is understandable. Still, that doesn’t mean that the final game in the series isn’t worth playing. It’s a compelling, finely crafted narrative wrapped up in a polished storytelling and gameplay engine, and it’s done horrible things to my productivity over the past week. Even if it doesn’t spot the landing perfectly, it still engages and enthralls throughout its performance and is worthy of the high scores that it’s been getting.